I am delighted to announce that Taylor and Francis will be publishing my book, Fierce Raged the Tempest: Singing the Gospel Along Scotland's North-East Coast, as part of the SOAS Musicology Series. Watch this space for more details on the publication date! 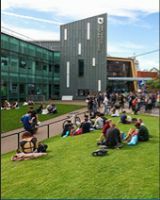 Frances travelled to the University of Sheffield to give a research seminar to academics and students at the Department of Music on 28th March. The title of the seminar was 'Engaging Community and Landscape: The Case for an Ethnomusicological Approach. Many thanks to Dr Victoria Williamson and everyone in the Department of Music for hosting the seminar. 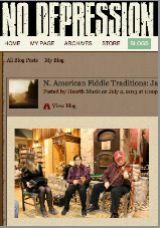 The two NAFCo 'snapper' videos which I was involved in whilst at the fiddle convention in Cape Breton, are now available to view on Vimeo. For the snapper on my James Bay research, please go HERE. For the snapper on Shetland bridal marches, with Claire White, please go HERE. Many thanks to Heather Sparling and others at CBU for their hard working in producing these videos. 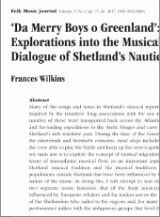 Frances's article, ‘Da Merry Boys o Greenland’: Explorations into the Musical Dialogue of Shetland’s Nautical Past', has now been published in Folk Music Journal (Vol 11 No. 2, 2017). More information about the journal, edited by David Atkinson, can be found Here. Frances travelled to the University of Newcastle to give a research seminar to academics and students at the Department of Music on 24th November. 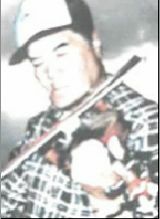 The subject of the seminar was James Bay fiddle music. 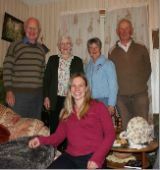 Many thanks to Sam Horlop and others for giving my such a warm welcome during the visit. 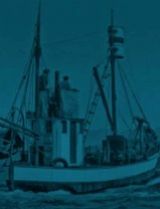 A chapter by Frances, entitled 'Fishers of Men: Maritime Radio and Evangelical Hymnody in the Scottish Fishing Industry, 1950-65' is just about to be published in the volume, The Sea and the British Musical Imagination (Boydell & Brewer, 2015) edited by Eric Saylor and Christopher Scheer. Publication date is 17 December 2015. More information HERE. 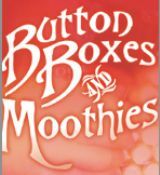 Just to let you know that the tickets for Button Boxes & Moothies 2015 are now on sale! please go to our online store to purchase either individual or full weekend tickets. Frances gave a paper at the BFE/SFE conference in Paris at the weekend, titled 'Da Merry Boys o Greenland: Musical Dialogue in Shetland's Nautical Past'. Many thanks to Byron Dueck and the organising committee for putting together such an excellent joint conference. 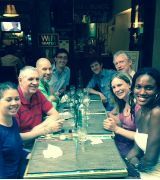 It was a great opportunity to catch up with old friends and meet new researchers in the field. We're very pleased to announce that the Button Boxes and Moothies festival will be taking place again on 6-8 2015 following a study day sponsored by the British Forum of Ethnomusicology. More information on the festival and study day, including a programme, can be found on the newly launched website. Tickets will be going on sales at the beginning of August. 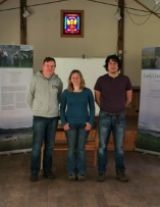 The funeralscapes team travelled to the Island of Eigg for a second time at the weekend to give a public lecture and donate the exhibition to the community during the island's St Donnan Early Christian weekend. It was an excellent event with guided walks and lectures from academics on the subject of St Donnan. Many thanks to Camille and others for organising such a wonderful event! 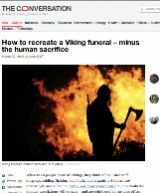 Carlos, Shane and I are delighted to have our first article, 'How to recreate a Viking funeral - minus the human sacrifice' published on the funeralscapes project in the excellent Conversation online publication. Read the article here. 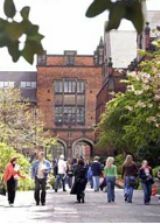 Frances travelled to the University of Newcastle to give a research seminar to academics and students at the International Centre for Music Studies. 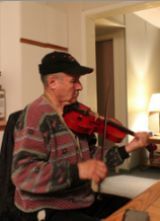 The subject of the seminar was James Bay fiddle music. Many thanks to Professor Agustín Fernández and Dr Vic Gammon for the wonderful hospitality during the visit. 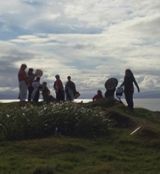 Following a highly successful fieldwork re-enactment trip to the Island of Eigg in August, the funeralscapes team will be presenting their work in the form of a public exhibition and lecture at the Being Human festival on 15th November, followed by lecture and public exhibition at the University of Stirling in early December. See the funeralscapes website for more information on the project. Frances returned to the James Bay for a short fieldwork visit following an excellent conference at the University of Montreal. 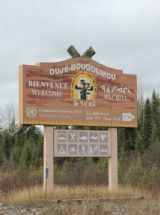 This time, she spent 10 days in Chibougamau, travelling to Mistissini and the beautiful community of Oujé-Bougoumou to meet with musicians and other cultural representatives in the area. It was an excellent visiting, culminating in an interview on CBC North on return to Montreal. Many thanks to Lloyd Cheechoo for hosting the visit. More information about the trip can be found on the blog. 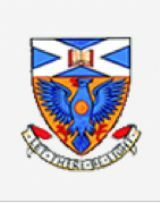 I'm delighted to announce that I have been successful, along with Drs Carlos Galán-Diáz (University of Aberdeen) and Shane McLeod (University of Stirling), to have recently won the 'How to Collaborate Virtually' competition for research funding of £1000, run by the Centre for Academic Development at the University of Aberdeen. Our project, entitled 'Funeralscapes', will be conducted over the summer and autumn 2014. Combining academic research and fieldwork, the project aims to re-experience and re-interpret the sonic environment of Viking and early Christian burials and funerals. In doing this, we hope to learn more about why people choose specific locations for burial sites, their acoustic qualities, and the roles of music, sound, and emotion during the burial process. I'll be posting more information on the project later in the summer, but in the meantime please visit our website HERE for further information. 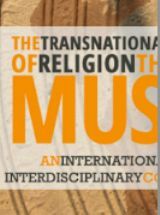 I'll be travelling to Montreal in October to present my paper, entitled "Southern Gospel in North-East Scotland: The Necessity for Change and the Lasting IMpact of Moody and Sankey" at the international academic conference, 'The Transnationalization of Religion Through Music", held at the University of Montreal. This paper is based on my forthcoming book chapter of the same title, to be published in 'A Closer Walk: Essays in Southern Gospel Music', edited by Jesse Feyen and to be published by The University Press of Mississippi. Following the conference, I am hoping to continue my travels up towards James Bay to the area of Mistissini for a short research visit. The website for the conference can be found on the conference website HERE. 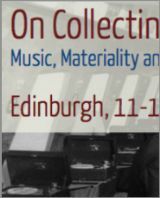 On 11 July I'll be travelling to Edinburgh to present a paper, entitled "Transatlantic Sounds: Recording the Fiddlers of James Bay" at the conference, "On Collecting: Music, Materiality and Ownership", which will be taking place at the National Museum of Scotland and is a collaboration between the Reid School of Music at the University of Edinburgh and the NMS. I'm very much looking forward to travelling to the city and taking part in the conference, which has an interesting and varied programme. The conference website can be found HERE. 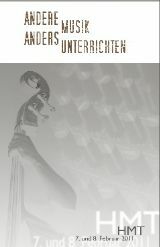 A new book which emerged as a result of the European Seminar in Ethnomusicology 2011, has recently been published and contains a chapter which was written as a result of my PhD research. 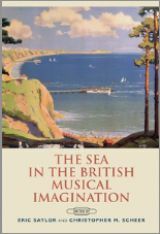 The chapter is entitled, 'Strengthening Identity Through Community Singing: Praise Nights in North-East Scotland's Deep Sea Mission'. 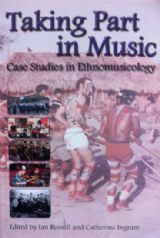 The book details are as follows: Russell, Ian and Catherine Ingram, Eds, Taking Part in Music: Case Studies in Ethnomusicology (Aberdeen: Aberdeen University Press, 2013). I am very pleased to have been awarded a Carnegie Trust Small Research Grant for the continuation of my field research into James Bay fiddle music. 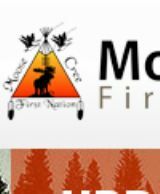 I will be travelling to Moose Factory in Northern Ontario in January-February 2014 to work with the Cheechoo Family to continue documenting the traditional fiddle music and dances of the region. 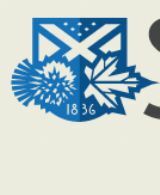 On 16th January 2014, I will be giving a lecture for the St Andrew's Society of Toronto on my research into James Bay fiddle music and its links with Scotland. The lecture will be taking place at 6.00pm in St Michael's College, 81 St Mary Street, Toronto, and more information can be found HERE. 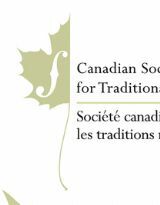 I am delighted to announce that my first academic article on James Bay fiddle music, entitled 'The Fiddlers of James Bay: Transatlantic Flows and Musical Indigenization among the James Bay Cree’, has now been published in the MUSICultures journal of Ethnomusicology (40/1 : 57-99). More information on the journal can be found on its website HERE. 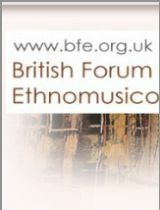 On October 19th 2013, I will be travelling to Cardiff to take part in the British Forum of Ethnomusicology one-day conference, 'Music Around the Atlantic Rim', hosted by . My paper will focus on the James Bay fiddle tradition and its trans-atlantic connections with Scotland. The conference will consider the relocation of peoples and exchanges of culture, music and ideas in relation to seafaring. 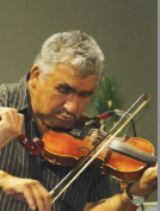 An article on the James Bay fiddle tradition, and my work as an ethnomusicologist in the region is now up on two North American music blogs, Hearth Music and No Depression. 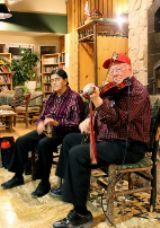 The article includes photography from fieldwork and videos of James Bay musicians. 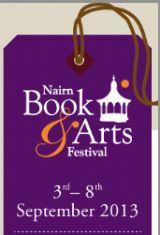 I will be giving a public lecture, sponsored by the Nairn Literary Institute, at Nairn Community and Arts Centre on Thursday 5th September from 5.15-6.15pm as part of the Nairn Book and Arts Festival 2013. 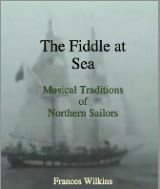 The title of the talk is 'The Fiddle at Sea: Exploring the Musical Traditions of Northern Sailors', and more information on the festival and the talk can be found HERE. The Cheechoo Family visit to Scotland has been a great success with performances in Aberdeen, Skye, and the Orkney Islands. They were also interviewed by Bruce MacGregor on BBC Radio Scotland's 'Travelling Folk', which can be heard HERE. For a full commentary on the Cheechoos' visit to Scotland, with photographs, videos, and audio, please visit the James Bay Fiddle Blog. The 'Sharing All Our Stories' Ning site, which gives information on all the projects working under the AHRC-funding 'All Our Stories' project can now be accessed HERE. I have had two excellent visits as an Early Career Researcher to Stirling and Shetland. In Stirling I visited Jo Miller's 'All Our Tunes' project as part of the Riverside Music Project, and in Shetland I visited the Nesting Primary School's Viking 'Ting' project, under the leadership of Kate Coutts. Both were very inspiring and I am looking forward to working more closely with both projects over the coming year. I'm delighted to announce that James, Daisy, Treena, and Rita Cheechoo will be travelling over to Aberdeen from Moose Factory on 13th May for a two-week cultural visit to Aberdeen, Skye, and Orkney. 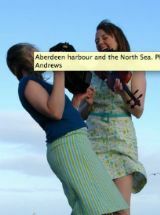 They will be visiting departments in the university and giving performances and workshop in association with organisations including Scottish Culture and Traditions, Aberdeen Folk Club, Aberdeen Art Gallery, and Orkney Folk Festival. This visit is sponsored by Aberdeen City Council, The University of Aberdeen, The Friends of the Elphinstone Institute, and Orkney Folk Festival. More details on their itinerary will be made available nearer the time. 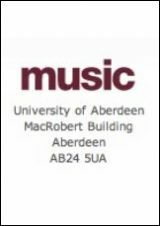 I am delighted to announce that I will be taking up a lectureship in Ethnomusicology at the Elphinstone Institute, University of Aberdeen, in April 2013. My role will be to lecture, conduct research, and supervise students of the institute in the area of ethnomusicology and Scottish music. This role will be in addition to my other roles in the university including lecturing in the Department of Music and working as Early Career Researcher on the AHRC-funded 'All Our Stories' project in the School of Education. 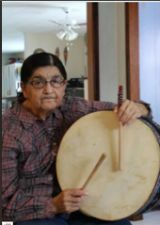 On 20th February I will be returning to Canada for just under three weeks to re-visit Moose Factory and spend time with musicians in the community including James and Daisy Cheechoo to continue my research into the music and its historical links with Scotland. I'm very excited to be returning to the region, and look forward to seeing people again and continuing my research there. 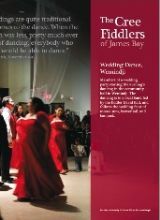 News will be posted on my research blog at www.jamesbayfiddle.blogspot.com. 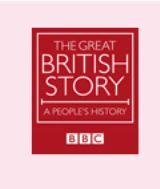 I am delighted to report that the AHRC Sharing All Our Stories project, led by Dr Liz Curtis at Aberdeen University, has been successful in its funding bid. This project aims to provide tailored support to all All Our Stories projects throughout Scotland and will share the skills, knowledge and resources of a range of university researchers and All our Stories community researchers. I will be involved in the projects as an Early Career Researcher, and will be working closely with the All Our Tunes project in Stirling. More details on the project will be made available over the coming months. I will be travelling up to Orkney in May to give a lecture for the John Rae memorial part of the Orkney Folk Festival, speaking about the music of the places where he would have visited in Canada and the Far North. In particular, I will be discussing Cree fiddling and Inuit music. 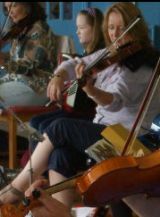 I will also be performing James Bay tunes with Claire White on fiddle at the John Rae Memorial Concert, which is part of the festival. This month, I will be in the recording studio working on a long-awaited album of traditional and original Shetland songs and tunes with fiddle player and singer Claire White. The album will be the first Shetland (and possibly Scottish) fiddle and concertina album, and will showcase some of the lesser-known Shetland material as well as introducing more recent compositions. The album will be released in April 2013. More details to follow. I am looking forward to starting work as guest editor on the upcoming issue of the MUSICultures academic journal, alongside Heather Sparling and Kati Szego. This special issue is entitled 'Atlantic Roots and Routes', and will be published in the summer of 2013. I will also be submitting an article on the fiddle tradition of James Bay. 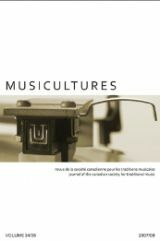 MUSICultures is the peer-reviewed scholarly journal of the Canadian Society for Traditional Music. This semester I will be teaching a new course option on world music for the Department of Music at the University of Aberdeen. This will be for third and fourth year undergraduate students, and will include topics such as the music of the Jelis, Shona mbira music, North Indian classical music, the music of Islam, and tarantella music. It is exciting to be developing this new course, and I'm looking forward to introducing these aspects of music to students in the department. I have just returned from a busy and exciting return visit to Wemindji to set up a James Bay fiddle archive for the Wemindji Cultural Department and oversee the hanging of my photographic exhibition, which will be on permanent display in the Cree Nation of Wemindji Band Office. 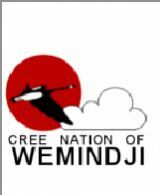 Many thanks to Katherine Scott and the Wemindji Cultural Department for making this project possible. I look forward to seeing the archive expand in the future! 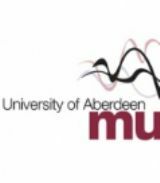 I am delighted to announce that I will be teaching a new third year course module with Professor Pete Stollery on the Bachelor's of Music degree at the University of Aberdeen. 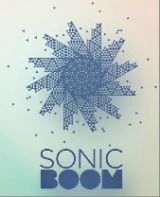 Entitled 'Soundscapes and Soundmapping', the course will be exploring the concept of the 'soundscape' (after R. Murray Schafer) through field recording, soundmapping, composition, transcription, and analysis. On the evening of Friday 13th July, I will be giving a public talk entitled 'The Fiddle at Sea' at the Scottish Fisheries Museum in Anstruther ,Fife. This will be preceeded by the opportunity to join the crew of the restored 1902 Herring Drifter, 'The Reaper', for a "Rum Reception" on board. More information can be found at www.scotfishmuseum.org. 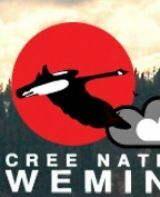 I am very pleased to announce that I will be making a return visit to Wemindji in September 2012 to work with members of the Wemindji Protected Area Project and Band Council of Wemindji to set up a sound archive of music and video recordings from James Bay in connection with the Wemindji Community Museum. The visit will coincide with a music festival taking place in the community. This coming summer term, I will be teaching a condensed 'Introduction to Ethnomusicology' course to second year undergraduate music students. The course aims to give students the basic tools with which to conduct ethnomusicology research, and includes a strong practical element. On 24 April, I will be giving a public lecture for the Elphinstone Institute, University of Aberdeen, titled 'Scots in the Arctic: Musical Exchanges with the James Bay Cree in Canada'. 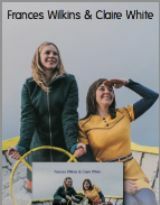 The lecture aims to give an introduction to these musical connections between Scotland and James Bay in terms of history, repertoire, performance, and function, and will be illustrated by photographs, videography, and musical examples collected during fieldwork in the James Bay region in late 2011. The Exhibition, 'The Cree Fiddlers of James Bay: Music from the Fur Trade' has just been launched in the MacRobert Building, University of Aberdeen. This comprises photographs and videography from my recent research visit to James Bay, and will be on show until 30 June 2012. The new Scottish Musical Traditions undergraduate course has just got underway at the University of Aberdeen's Department of Music. This course aims to provide a grounding in the various different instrumental, vocal, and dance traditions which can be found within Scotland and in the Scottish diaspora. Paper to be Presented at the ICTM Ireland Conference. 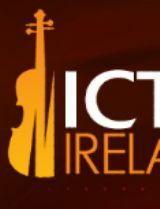 From 24-26th February 2012 I will be attending and presenting my first paper on the James Bay fiddle tradition at the International Council for Traditional Music Ireland annual conference. My paper is titled 'Scots of the Sub-Arctic: Musical Migration from Orkney to James Bay' and the conference takes place at Trinity College Dublin. 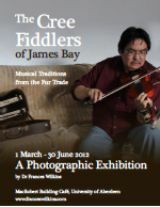 From 1 March until 30 June 2012, I will be exhibiting photographs and videography from my visit to James Bay in 2011. The exhibition will be shown in the MacRobert Building Café of the University of Aberdeen (on the corner of King's Street and St Machar Drive). On Tuesday I was interviewed from Wemindji by Clare English on my visit to James Bay and the research I'm doing here. If you would like to listen to this, please follow the link here. I am now in Canada, on my way to James Bay - first the east coast (Wemindji), then the west coast (Moose Factory Island). I will be speaking to musicians in both communities, and finding out more about the musical tradition and its historical links to Scotland. I will be keeping a blog here where you can read more about the trip. 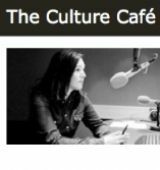 BBC Radio Scotland's 'Culture Cafe' will be interviewing me and airing an audio diary of my upcoming visit to James Bay. The interview will be broadcast live from Wemindji on 8th November and the audio diary will be aired in late November/early December. More details to follow. I have just come back from a short but fascinating research trip to Orkney, where I stayed for four days meeting a number of people involved in research into the Hudson's Bay Company and Orcadian/Cree connections, including a couple of people with Cree ancestry. Many thanks to everyone I met for their help and advice, including Len and Lily Wilson, Susan Johnston, Kim Foden, Sarah-Jane Gibbon, Bryce Wilson, and Gemma McGregor. 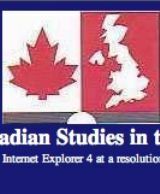 I am very pleased to announce that the Foundation for Canadian Studies in the UK has awarded me funding towards my upcoming research visit to Canada. This will be used to cover the costs of visiting archives in Toronto and Winnipeg to conduct research into James Bay fiddle music. I will be travelling down to Ripon College, Cullesdon, later in the year to present a paper, 'Strengthening Identity through Community Singing: Praise Nights in North-East Scotland's Deep Sea Missions'. 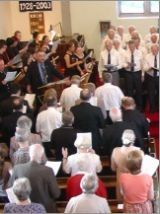 This is as part of the conference, 'Christian Congregational Music: Local and Global Perspectives', which is being held at Ripon College from the 1-3 September 2011. 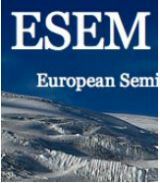 As part of the European Seminar of Ethnomusicology (2011), to be held in Aberdeen, I will be presenting my paper, 'Retaining Principles or Ensuring Survival? 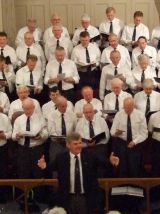 Issues of Intransigence within North-East Scottish Gospel Male Voice Choirs'. 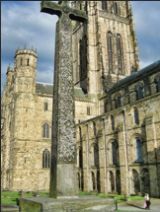 The seminar will be taking place at the university from 15-19 September 2011 in Aberdeen and is hosted by the Elphinstone Institute and the Department of Music, University of Aberdeen. 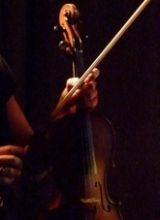 I am delighted to hear that I have been awarded Small Research Grant from the Royal Society of Edinburgh to conduct research into the fiddle music of James Bay and its links to the Orkney Islands. 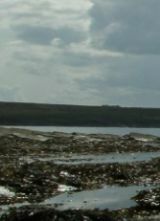 I will be making research trips to Orkney and Canada later in 2011 to conduct field and archive-based research. Initial output will include a conference paper, journal article, public exhibition, and website. 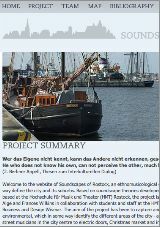 The Soundscapes Rostock website is now live at www.soundscapesrostock.de . 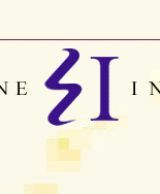 The website includes detailed information on the project, including project news, soundmap, and texts about theoretical approaches, methodology, and reflections on fieldwork. The 2011 European Seminar in Ethnomusicology will be taking place form 15-19 September at the Elphinstone Institute, University of Aberdeen, with Prof Anthony Seeger of UCLA as keynote speaker. I will be taking part in the organisation of the conference alongside Dr Ian Russell and Dr David Smith. 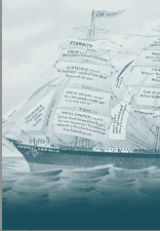 I am very pleased to hear that her PhD thesis, 'The Old Ship of Zion', has been short-listed for the Ratcliff Prize for Folklore and Folklife 2011. 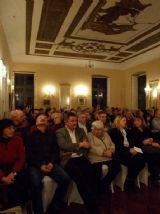 The Scottish concerts in Rostock and Nustrow had full houses on both nights, and the performers had an enthusiastic reception from members of the public for their performances of Scottish songs and tunes. In Rostock €290 was raised for the local migrant community. Many thanks to all who contributed to the success of the concerts. Frances will be travelling to London in February to present a paper, 'The Bagpipe Music of the Fiddle: Scotland's West Highland Style', at the London Fiddle Conference on 19 February. This will be in collaboration with Highland fiddler Ronan Martin, who is providing musical demonstrations during the presentation. 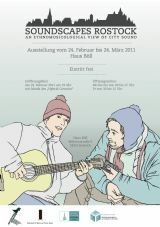 The Rostock Soundscapes project team will be launching their exhibition, 'Soundscapes of Rostock: An Ethnomusicological View of City Sound' at the Haus Böll, Mühlenstraße 9, Rostock, on 24 February 2011. 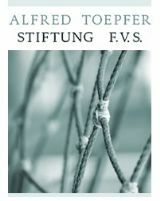 Entry is free, and the exhibition will continue for one month until 24 March 2011. 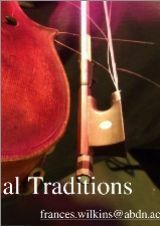 As part of the Landesschulmusiktage 2011, I will be giving a workshop seminar entitled 'Learning and Teaching Traditional Music by Ear: A Scottish Example' on Monday 7 February 2011, 10.45-12.15 at HMT Rostock. 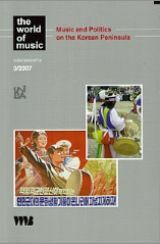 In February 2011, I will start teaching the first course to be provided at Aberdeen University's Department of Music in Ethnomusicology. 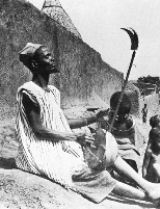 This will be taught to third year undergraduates and will have a strong focus on fieldwork techniques and practical ethnomusicology. 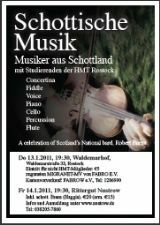 Two concerts of Scottish music will be taking place in Rostock and Nustrow on the 13th and 14th January 2011 to celebrate the life and times of Robert Burns. I will be performing with Ronan Martin on fiddle and accompanied by students of HMT Rostock on cello, piano, recorder, fiddle, percussion, and voice.